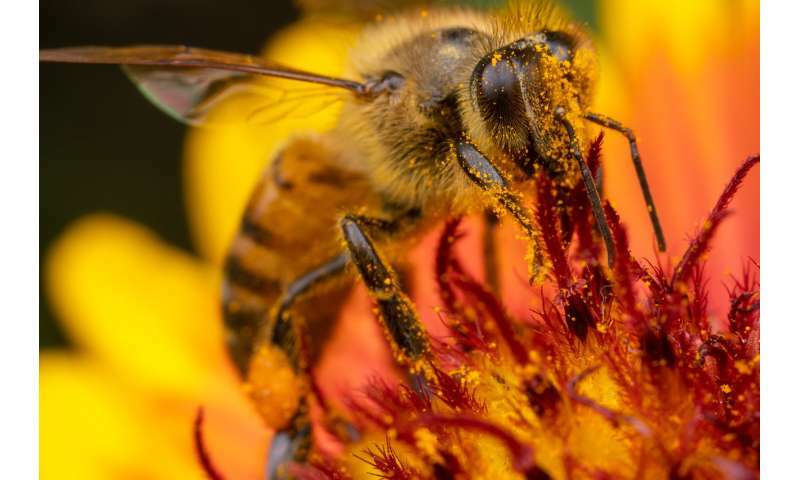 "We need better guidelines for glyphosate use, especially regarding bee exposure, because right now the guidelines assume bees are not harmed by the herbicide," said Erick Motta, the graduate student who led the research, along with professor Nancy Moran. "Our study shows that's not true." "Studies in humans, bees and other animals have shown that the gut microbiome is a stable community that resists infection by opportunistic invaders," Moran said. "So if you disrupt the normal, stable community, you are more susceptible to this invasion of pathogens." Native bumble bees have microbiomes similar to honey bees, so Moran said it's likely that they would be affected by glyphosate in a similar way. Glyphosate and nicotinoids in general should be banned. There are other chemicals and techniques that can be used instead. We are very slowly killing ourselves with chemicals especially petrochemical based ones. Given the number of unconvincing articles lately on RoundUp - clearly, there is an organized effort to eliminate RoundUp from the market. It's doubtful that such an effort is entirely environmentally based, but much more likely to be competitor - economically based. This is they new face media and public opinion manipulation. There seem to be no neutral or untainted information sources these days - including phys.org. How is this article unconvincing, Dug? Phys.org is not the publishing journal. The scientists published their data and their report in Proceedings of the National Academy of Sciences of the United States of America, the official scientific journal of the National Academy of Sciences, published since 1915. PNAS papers are published after peer-review, and revision. Do you really mistrust the scientific and journalistic integrity of the authors, the reviewers and the editorial boards of PNAS and phys.org? 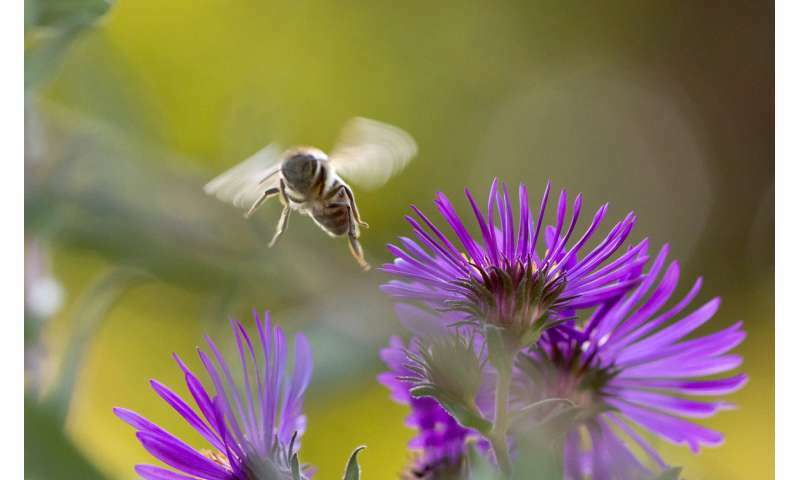 Bees are dying because of the cessation of use of pesticides. Proliferation of bee-killing mites due to lack of pesticides is what is destroying bee populations. This can be seen in urban areas where pesticide use was discontinued bees began dying between 2-5 years AFTER use was discontiued. I must say that is the dumbest argument I have heard in some time. It's the equivalent to saying bees were a dying race until we started farming them. There's no doubt, bee population is in decline directly and indirectly due to human activity. Given that the bees are dying due to bacteria, and that the gut hosts most of the beneficial and toxic bacterial, it follows that pesticides could reek even more havoc on bees than on us; which if true means we now have an excellent benchmark for testing pesticide toxicity. 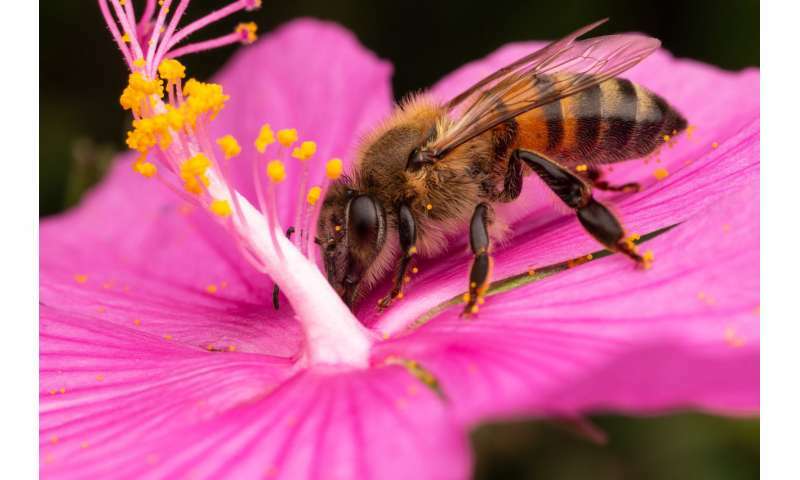 However, likely as important are the "probiotics" which for bees could be pollen diversity. Also, one must wonder if honey extraction, done improperly or too frequently, if that could allow harmful bacteria to infect the honeycomb which would devastate a colony. Sometimes I wish I would have ventured into biology. I just do not get the idea that we know (fairly certain) for a scientific fact that Round-Up is killing the insects that work for us to pollinate. This is not good. This is one of many signs that humans are acting just like mold in a Petry dish over-consuming and over-polluting ourselves into oblivion. At the same time our species is all ga-ga over going to Mars, spending incredible amounts of resources as well as capital. Why can't we devote the same scientific effort to working out how to save our home planet before we jet off to another. Another that is about as inhospitable as anyone can imagine. Yet they plan to create a sustainable environment there. It seems like it would be easier to maintain the one we already are blessed to have. That's odd, RoundUp wasn't mentioned anywhere in the article nor in the comments until you brought it up. And then Anonym981200, a new account, pops up and also defends Roundup. There seem to be no neutral or untainted information sources these days - including phys.org. If the taint is coming from corporate shills in the comments section, I'd have to agree. the shill also plays the game of attempting to conflate and make the point they desire to make. Which is the shill moment of trying to deflect and cause doubt. These are modern evolved shilling and interference tactics. I think you have your priorities a little messed up. Just think of what we could do if we stopped spending more than the next 10 countries combined (most of whom are allies) on killing people. HAWW...HEE...That's odd, RoundUp wasn't mentioned anywhere in the article nor in the comments until you brought it up. And then Anonym981200, a new account, pops up and also defends Roundup. The very first paragraph clearly mentions -- Roundup. By jove, you're right. And I even did a text search in the browser to make sure I didn't miss it, not sure how I did. Much like a broken clock, even the likes of antigoracle can be right twice a day, though twice a year seems closer to truth. Even commenting on an article like this, anti refuses to bee have. It's hardly "news" that glyphosates, nicotinoids and similar compounds are damaging and killing pollinators and animals that prey on them. The problem is that it is not only Bayer-Monsanto in the environmental crosshairs; because of a host of commercial licenses to produce the same poisons internationally, the challenge is far, far larger and more pervasive that most of us realise. Also, public education about the dangers is lacking. I live in Portugal, and am appalled at how little awareness and training exists; almost any fool can get a local Council license to spray any chemicals anywhere, without notifying neighbours or taking simple precautions. Also, big business uses big money to influence decision makers, and despite all the evidence that the toxins are killing and damaging insects, birds, mammals and the soil, there is not the clear political will to ban them. Witness the EU's own cowardly and foolish extension of another five years to Bayer-Monsanto (and others) to continue.